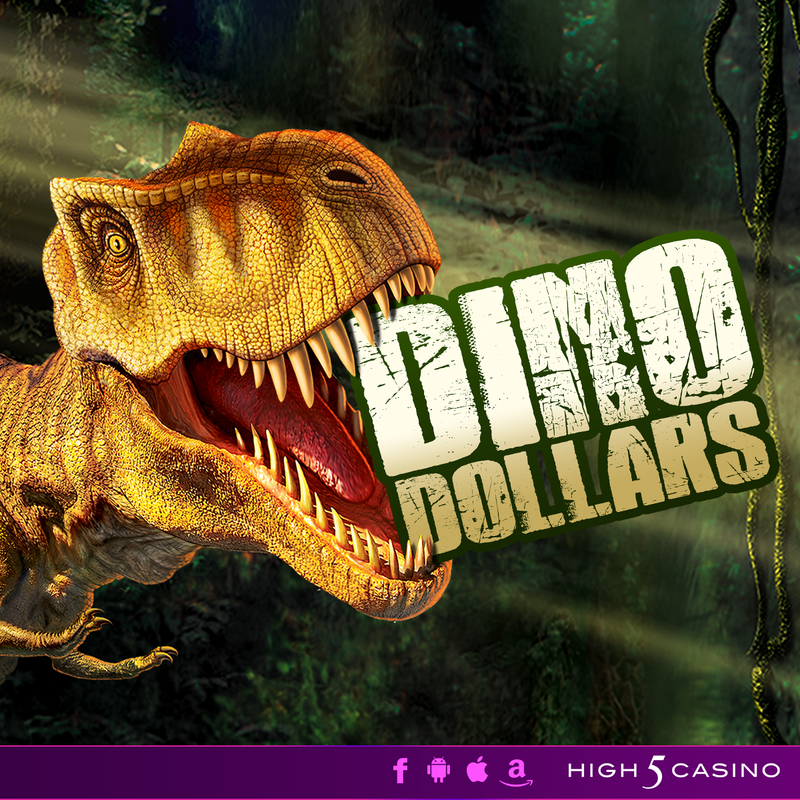 High 5 Casino’s 258th game will transport you back to the Jurassic period! Dino Dollar is coming soon! Return to the Mesozoic island of free-roaming dinosaurs for another thrilling adventure! After already escaping the dangers of the Jurassic period before, you go back to the island, this time to save the dinosaurs from a volcano eruption that threatens their extinction. Earn massive rewards when you encounter the terrifying and gigantic dinos. Soon, you will discover a new breed that can serve as a huge win for the escape. Are you ready to see Symbol Fusion and the Treasure Tier Bonus in a brand new periodic adventure? Comment in the conversation bubble located on the top right corner of your screen and let us know what you think! 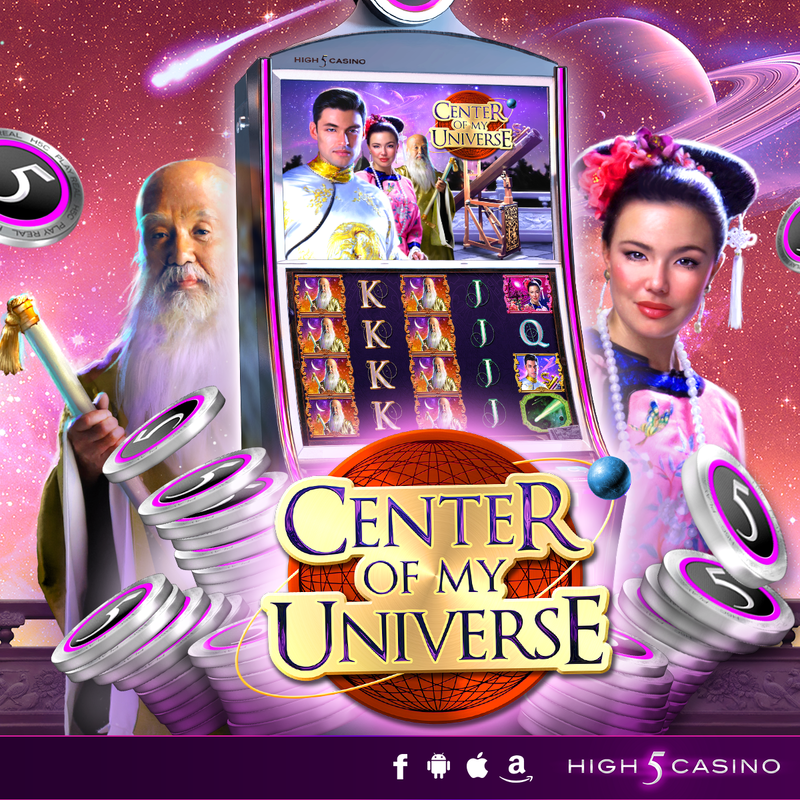 Separated only by space, be part of the stellar love story in Center of My Universe! High 5 Casino’s 203rd game arrives soon! The time has come for a young prince to find his princess. Legend says to find true love, he must travel through space and seek the wisdom of a grand master. Motivated by the idea of finding love, he embarks on a quest to discover the truth behind the legend. 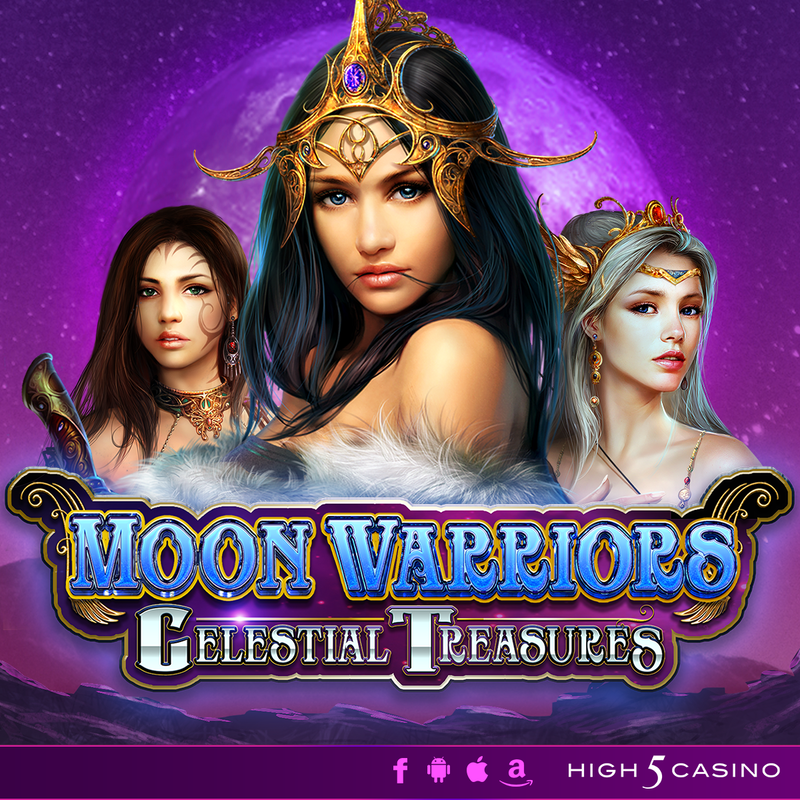 Travel to different realms with our brave prince and enjoy galactic wins through the journey. Center of My Universe. Be part of a stellar love story! 4 by 5 reels. 10 and 40 paylines. Special Features: Super Stacks, the Treasure Tier Bonus and Free Games. Check the YouTube video below and get ready to travel to different realms on your High 5 Casino Reels! Are you ready to enjoy celestial wins? Comment in the conversation bubble located on the top right corner of your screen and let us know!